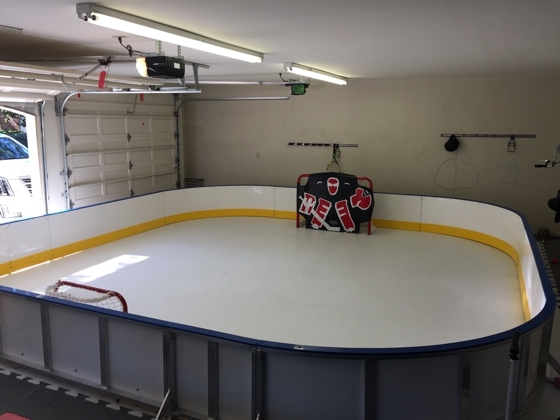 "My dad got it set up over Christmas. Looks great!! Kids loves it and are out there every day. If not skating, then stick handling and shooting. Here are a couple of pictures." 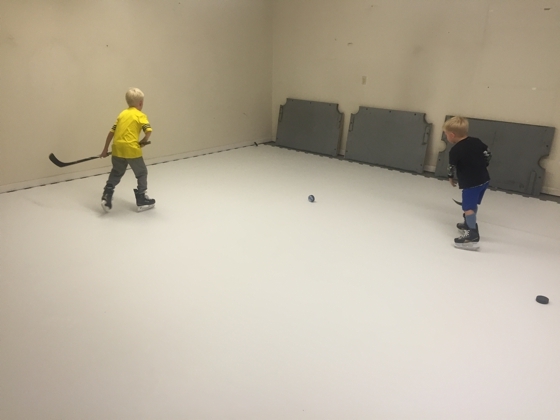 Installation of synthetic ice hockey rink at the home of NHL player Anton Strålman for his children! 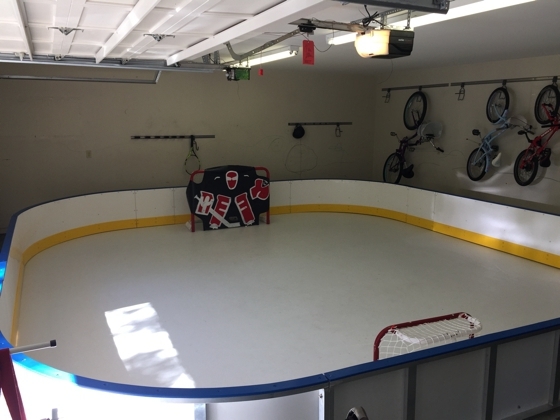 Anton Strålman's residential synthetic ice rink in garage! 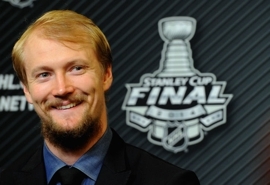 Anton Strålman's home ice rink!